Credit the big retailer with jump-starting a unified green effort, but the food & beverage industry should be the driver. Our lead news story last month got me thinking. Sustainability is too important a topic for the food industry to turn over to Walmart. The giant retailer – which also happens to be the country’s biggest food marketer – held a public meeting and webcast on July 16 announcing plans to shepherd a sustainability index for consumer goods, including food products. Company officials were insistent they were only being the catalyst; they wanted to develop the index in cooperation with suppliers (like you), universities and other sustainability leaders. Eventually they will turn over its administration to a consortium of universities, with Arizona State University and the University of Arkansas jointly initially administering the group. That consortium will collaborate with suppliers, retailers, non-governmental organizations and government to develop a global database of information on the lifecycle of products, from raw materials to disposal. Walmart is looking for a technology company to partner with on the creation of an open platform that will power the index. The final step will be to translate the product information into a simple rating for consumers about the sustainability of products – apparently a label on the product, probably a lot like the Nutrition Facts panel. So why let Walmart control it at all? Most of Walmart’s stated goals were noble: giving consumers information about the entire lifecycle of a product. Show them the product’s final manufacturer made it in a safe and ethical manner, its ingredients from other suppliers were assessed for safety, that attention was paid to four areas identified as priorities by Walmart (and probably by all of us): energy and climate; material efficiency; natural resources; and people and community. But there was just the slightest hint in Duke’s speech that products had to be made simultaneously better and cheaper. “Customers want products that are more efficient, that last longer and perform better,” Duke said. And as noble as that sounds, that’s where Walmart can apply the squeeze … to you. That’s the same kind of noble intentions that made suppliers of numerous products jump through all kinds of hoops to complete the retailer’s Packaging Scorecard in 2008. And the kind of do-it-or-lose-us intimidation that accompanied the radio frequency identification (RFID) tag initiative of 2005. Walmart shot itself in the foot with that one. But I will give the big retailer credit that both those efforts had clear metrics, identified supply chain efficiencies and instilled a certain sense of continuous improvement on manufacturers and other suppliers. The need to save the Earth is not going away anytime soon. Sustainability is real – unlike the RFID initiative. It’s all-encompassing, unlike the packaging initiative. Unfortunately – at least somewhat – Walmart did detect inertia over this critical issue and seized the moment. The government is too busy with many other things to take the lead. No trade association has stepped to the fore – although the Packaging Machinery Manufacturers Institute has some efforts under way, and apparently so does the Grocery Manufacturers Assn. And no other company probably could marshal the resources to get this done. What needs to get done is to make a plan, to create metrics and even standards and to define success. Every business is working on sustainability in its own varied way, so the end point may become clear in five years or so. But why wait? Credit Walmart for starting the ball rolling now. I also credit Walmart for appearing to align its own organization toward the same goals. The end is undoubtedly justified … but the means? 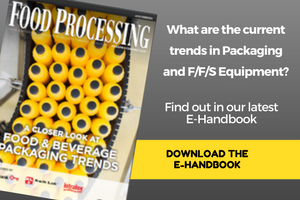 The food & beverage industry needs its own consortium to decide how consumable products should best be made – from farm to the loading docks of the local Walmart. Thank Sam’s club for the kick in the pants to get this started ... now, someone else please step up and take the steering wheel.